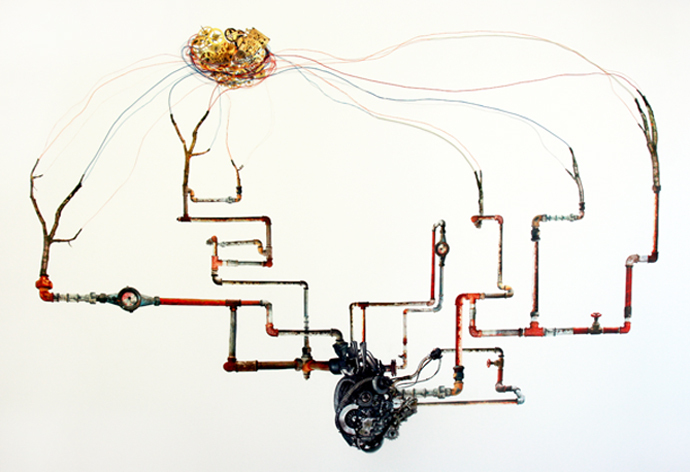 Cycle time is a lyrical collage in mixed media and is a surrealastic interpretation of a cycle that shows a system and inerplay between different parts. 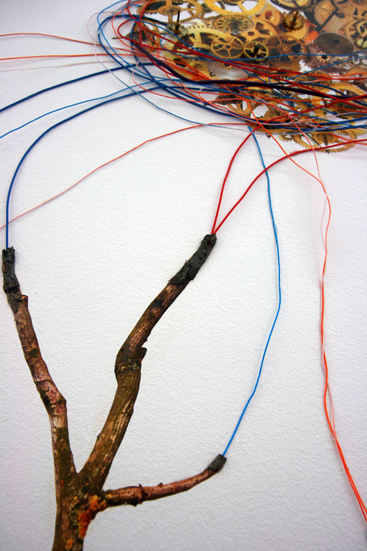 The work resembles a vascular system, is a circle with a machine below the middle that has the shape of a heart. 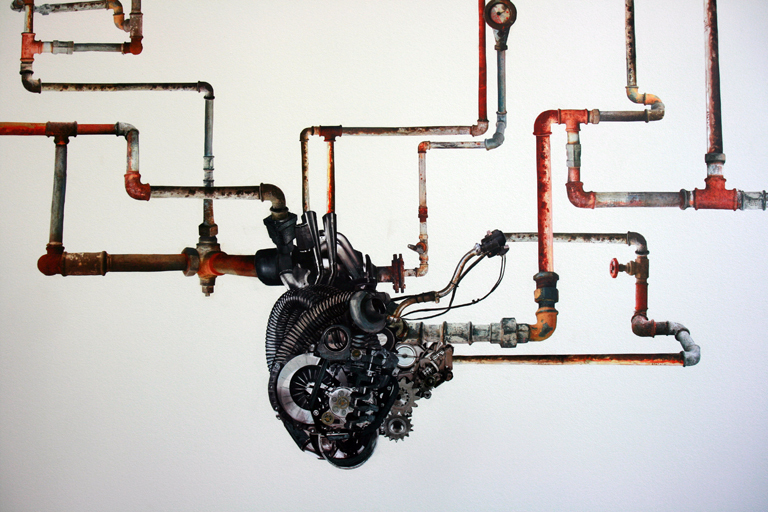 From the machine lies old, connected piping system that has reference to vegetation and fertility. 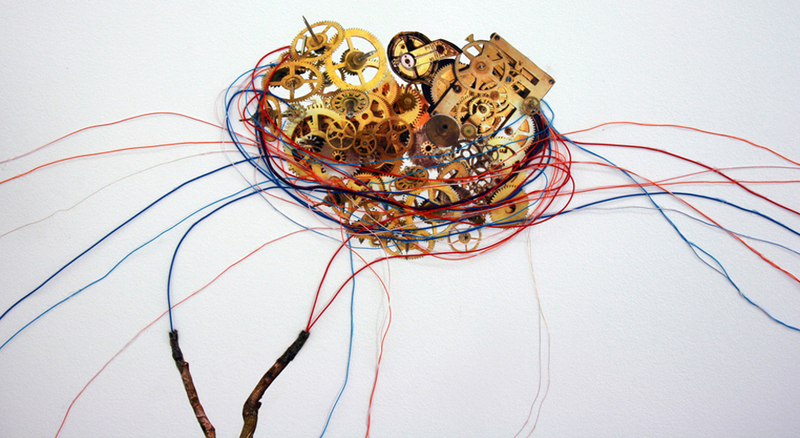 The top part of Cycle time is connected with electric wires coming out of tree branches and tangles around the insides of a clock, like a nest around an egg. The clockwork is time, dismantled. In our life everything is run by time and time restrictions. Time is measurable like the heartbeat, beats per minute or circles in the tree trunc. All this flows together into a cycle and is the pulse of existence.